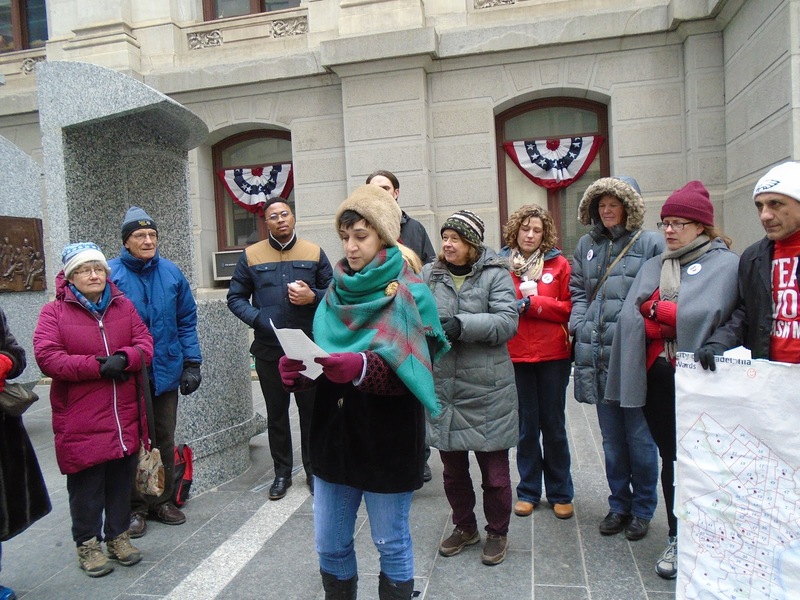 We are announcing the formation of Democratize Philly, a coalition of progressive organizations seeking to recruit and support progressive candidates to run for Committeeperson who are committed to the values of social, economic, racial, and gender justice. Our mission is to increase democratic participation, voter turnout, and transparency in Philadelphia’s political process. We come together around this mission because we believe that a healthy democracy is built on the political participation of all its citizens. Unfortunately, voter turnout has continued to be dismally low in Philadelphia. Last November was a stark reminder of that reality with barely 20% of Philadelphia voters turning out to vote. A consensus has emerged that our one-party town can no longer afford an undemocratic Democratic Party. The current closed, top-down party structure disintegrating into competing factions is not working. 2018 provides an opportunity for political change -- engaged committeepersons can be a powerful force, educating voters about candidates and about the democratic process. 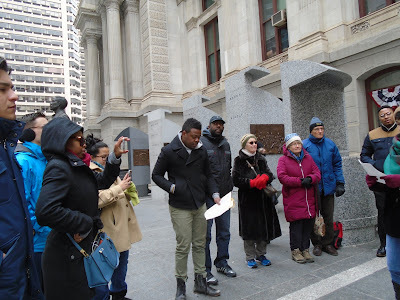 Numa St Louis from United Voices for Philadelphia emphasized the contributions of immigrants to our society and urged recent immigrants to become engaged in the political process. Grace Palladino from Philadelphia NOW: "2018 will be the Year of the Woman, and the National Organization for Women is thrilled to be a place where female candidates can come to get support, a platform, resources, and encouragement. I believe Donald Trump has awoken a sleeping giant, and the awe-inspiring potential of women working together is being revealed across this nation. If you are a female or feminist candidate looking for support, please reach out to NOW’s Philadelphia chapter today. We are here for you. Many thanks to Emma Restrepo for a video of the press conference highlighting the speeches of Amy Roat, Luigi Borda, and Margaret Lenzi. For decades progressives have worked to make the Philadelphia Democratic Party more democratic, more transparent. See my account of this activity in Green Shoots of Democracy in the Philadelphia Democratic Party. I think we have finally reached the critical mass of progressive activists we need for real change. Interest in the committeeperson races is far greater than I have ever seen with more organizations than ever working to educate their members about running for these seats. No doubt Donald Trump has something to do with this increased activity. Sign up for updates at democratizephilly.org! Welcome Democratize Philly. I look forward to your initiatives to strengthen our politics, our activism, our unity in the big fights this year and beyond.